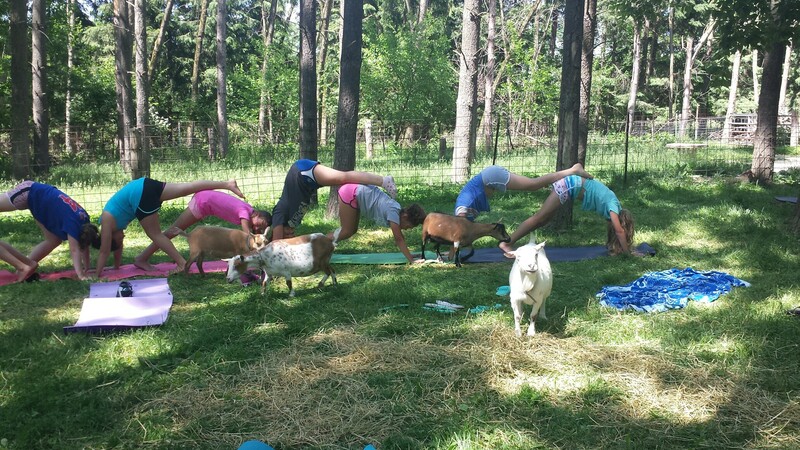 Come and explore yoga poses and enjoy some time with the kids (ours and yours)! 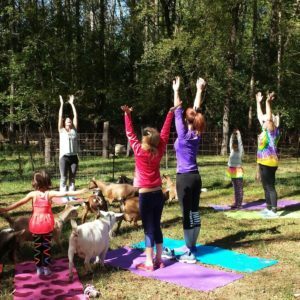 Use the practice of yoga to connect and celebrate with breathing techniques, partner poses, song and guided meditation, all while in the friendly company of goats! The perfect blend of fitness, laughter, family fun and relaxation! Feel free to bring your camera to take pictures with the goats after your session. You will also at this time have a chance to purchase some of our wonderful goats milk soap and bath products along with our other organic, pasture raised eggs, and meat. Price is $25.00 for family of 3 and $10.00 for each additional person. To purchase choose date as first option then family size. Continue to check back often for more dates! Please print off and fill out form below for each person attending. Bring with you to your scheduled class.